CENTRAL CITY – Thomas Barnett Dossett, 71, of Central City, died Friday, October 3, 2014 at his residence in Central City. 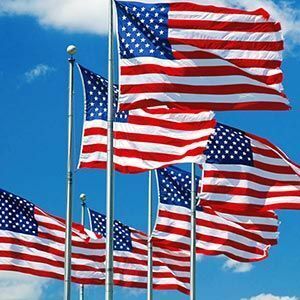 Mr. Dossett was born in Muhlenberg County on June 21, 1943, was retired from the United States Navy communications, he served two terms in the Vietnam War, and was a member of the 1st Baptist Church in Central City. He is preceded in death by his wife, Jerry Dossett, his parents, Barney and Verdie Dukes Dossett, and brothers, Marvin Dossett and Raymond "Scotter" Dossett. Survivors include his sons, Keith(Katie Herrenbruck) Dossett of Central City, Jay Dossett of Pennsylvania and Tommy Woernley of Central City, daughters, Eugenia Robertson of Central City and Amanda (Kevin) Liggons of Sikeston, MO., grandchild, Matthew Robertson (Kassie Jackson) , great grandchild, Kade Robertson, and brother, Don (Judy) Dossett of Central City. 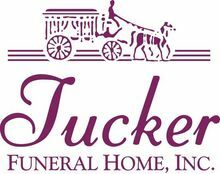 Funeral services will be held at 8:00 PM, Monday, October 6, 2014 at Tucker Funeral Home in Central City, conducted by Dr. Kevin Brown. Burial will be in the Rose Hill Cemetery in Central City. Visitation will be Monday from 4:30 PM till 9:00 PM at the funeral home. The beautiful and interactive Eternal Tribute tells Thomas 's life story the way it deserves to be told in words, pictures and video. He was a good man for the most part but we all have our flaws. There was one survivor left out he had another great grandchild Jacob Ethan Dossett. Idk how you all could forget about him. He has Dossett blood just because i am raising him doesnt mean he isnt family. He will be missed. RIP. Just read the obituary of your brother, Thomas. We send out sincere sympathy to both of you. Although I did not know him personally, I'm sure he was a wonderful man in the Dossett family. We will be praying for you and the family. Take care, hope to see you soon. Our love. Our sincere sympathy to you and your family.